The Society of Aviation and Flight Educators (SAFE) recently issued a final report on its first Pilot Proficiency Project, which debuted during AirVenture 2012. Conceived by SAFE in 2010, the demonstration project was a cooperative effort that involved Redbird Flight Simulations (Redbird) and the Experimental Aircraft Association (EAA). 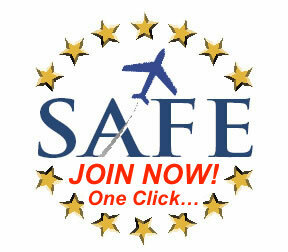 SAFE’s Pilot Proficiency Project™ offers targeted forums as well as simulator training sessions that address key safety of flight issues. SAFE member-instructors participate as forum presenters and simulator instructors, with simulator sessions co-developed by SAFE and Redbird educators. The next venue for the Pilot Proficiency Project™ will be announced soon. Founded in 2009, SAFE represents nearly 700 of the industry’s top aviation educators, including the majority of Master Instructors as well as numerous local, regional, and national General Aviation Awards winners.